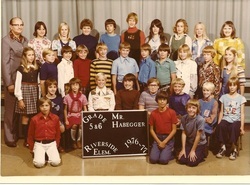 I went to Riverside Elementary which was closed in the late 70s or early 80s, although the building still remains on Vance Avenue. It was at this school where my memories of Mr. Habegger live. Although Mr. Habegger made sure all of his students toed the line, he also taught us many life lessons that I will never forget. He taught us to be self-disciplined by giving us just enough homework to make us understand the importance of completing the task but also made sure we had enough time at home to play and be with family. He taught us how to be respectful to others by making sure we used please and thank you and by teaching us what a firm handshake was. He taught us the importance of having a pastime by engaging the entire class in a softball tournament and using batting averages for math problems and chewing gum as rewards. He made us appreciate what was happening around the world by giving us weekly current events quizzes that made us want to read the newspaper and watch the news. Mr. Habegger was an amazing man who seemed to know everything. He knew how to keep us in line yet kept us interested in learning not only what was in our text books, but about life – what we could do and what we could aspire to do. Mr. Habegger passed away a few years ago, but my memory of him will live with me for the rest of my life. I just recently started thinking about this teacher from my middle school days because my children are now involved in middle school sports. I now realize how much time and effort Mrs. Shearer put into her P.E. class and her coaching. Mrs. Shearer was the P.E. 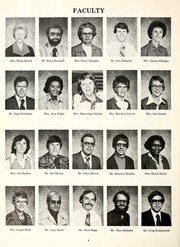 teacher at the then Lakeside Junior High School. Each sport season, she taught us every sport. We learned how to play football, how to play volleyball, how to play basketball, how to do gymnastics. Not only did she teach us the physical skills of each sport, but we also learned the rules and terminology for each. It didn’t stop there – we walked to a place near Lakeside where we bowled, and we walked to another venue where we played racquetball. When I decided to go out for track in seventh grade, Mrs. Shearer taught us every single event – we learned how to shot put, how to do the hurdles, how to long jump and high jump; we tried long distance and short distance. She timed or recorded our distance in every event, and this determined who would be in the different events. At the time, it didn’t mean a lot to me that she did all of this, but now that I look back – WOW! It is because of Mrs. Shearer that I know just enough about every sport to watch it and understand; it is because of her that I found my niche in the sports world and continue to be involved in running even today. Since I have been thinking about her recently, I tried to search for her on Google and Facebook book, but I didn’t have any luck. So, I will thank her here…Mrs. Shearer, as a teacher, sometimes you never know when or if you’ve touched the life of one of your students. You certainly touched mine although I never thanked you for it…but I’m thanking you now! The time and energy you put into teaching and coaching was extraordinary! Enthusiasm, passion, energy…these words perfectly describe my French teacher, Miss LaFontaine. Every day when I entered her classroom, there was something exciting, something different, something to make us fall in love with the French language and the French culture. Her love of the language quickly enveloped us as we listened to her speak the language so eloquently. She emphasized the beauty of spoken French, the richness in the culture, the literature, and the people. From cheers translated into French that we would perform at Pep Sessions, to reading the Little Prince, to board races where we could win “succettes,” I loved it all. Her passion became my passion, and I wanted to experience all that she had. My family hosted foreign exchange students from France, I traveled to France to spend six weeks in the summer with a French family, I majored in French at Ball State, and I spent 9 years trying to be the kind of teacher Miss LaFontaine was. I don’t think anyone could duplicate her enthusiasm, but I certainly tried. I used many of her methods including her poems, the board races, the “sucettes," the cheers, the songs, and the passion. I am fortunate that I was able to take my students to France and experience with them the first look at the Eiffel Tour, the blaze of the eternal flame beneath the Arc de Triomphe, and the amazement of being atop Mont Martre near the Sacre Coeur. Thank you, Miss LaFontaine, for helping me find my passion…the passion for the French language and culture; but more importantly, the passion for working with and hopefully making a difference in the lives of young people. Mes voeux sinceres, Mademoiselle LaFontaine, pour une bonne annee, bonne santé, et un paradis a la fin de vos jours! I always knew I wanted to be in a helping profession, but I really wasn’t sure just exactly which one until I met Mr. John Grantham at North Side High School. 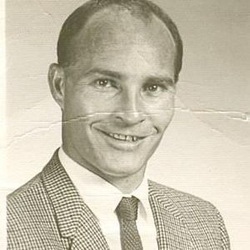 Mr. Grantham was a guidance counselor and assistant athletic director who saw something in me that I didn’t see myself. When it came time to scheduling our classes, I chose those for the student with the average ability – that’s where I thought I belonged. But Mr. Grantham saw more in me…he encouraged me to do more than just “average." He pushed me to challenge myself; to take “honors” classes and other subjects that made me step outside my comfort zone. And his encouragement didn’t stop with the scheduling of classes. Anytime he saw me, he asked about how I was doing, what I was up to, and he always had something positive to say that made me feel that I was important and that I had what it takes to be a success. He not only noticed and encouraged my academic ability, but he also noticed my ability in cross country and track. Anytime we had a meet, he was either there cheering me on, and if he wasn’t, he always made sure he asked how I did and challenged me to push myself even further.